INDEED… in life, expect the unexpected! 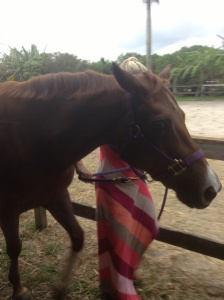 I began my equine “novice-hood” by leasing and taking lessons on the glorious mare, Serenity! She was both a “hot horse”, meaning even her walk was as fast as most others’ trots, and a gentle sweetheart. She was so easy on the ground. When I’d clean her hooves, she’d just hand them to me. Harnessing, bridling, saddling…easy! About a month into my adventures with Serenity, the Houdini of a horse, Fritz :), had unlatched her stall door in the wee hours of the morning. She must have gotten out and gone running into some fencing because she was found cut and bleeding early the next morning. Enter the good vet, Dr. Hilton. Serenity’s human and I rushed to the scene as he stitched her up, gave us instructions and predicted she would not be ride-able for at least six weeks. Her human, who had many different agendas with Serenity, was appalled. I had already fallen madly in love with this mare and I wasn’t going anywhere. Thus began my journey of caring for Serenity. Her human rarely came around during this time. I went every day when she was stall bound and would groom her gently, massage her, give her treats, kiss her nostrils and just hang out with her. Soon we were given the okay to take her out, hand graze her and walk her gently. I spent happy days and weeks doing this. Serenity and I developed a poignant bond. She taught me things about horses that one doesn’t necessarily learn when actually riding them. She taught me how to be more authentic, patient and courageous. She taught me that the best place to shed one’s tears is burying one’s face in a sweet horse’s neck, while hugging them. 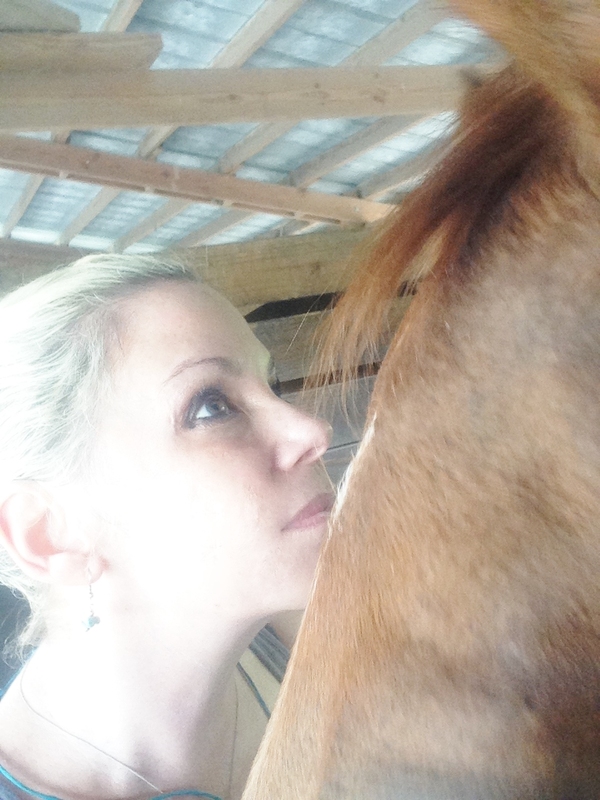 She taught me that each horse is completely who they are and no two are alike. Eventually she healed. I had the honor of cutting off her final bandage. And the riding lessons commenced again. I actually found myself observing a lot of human behavior that I found troubling. 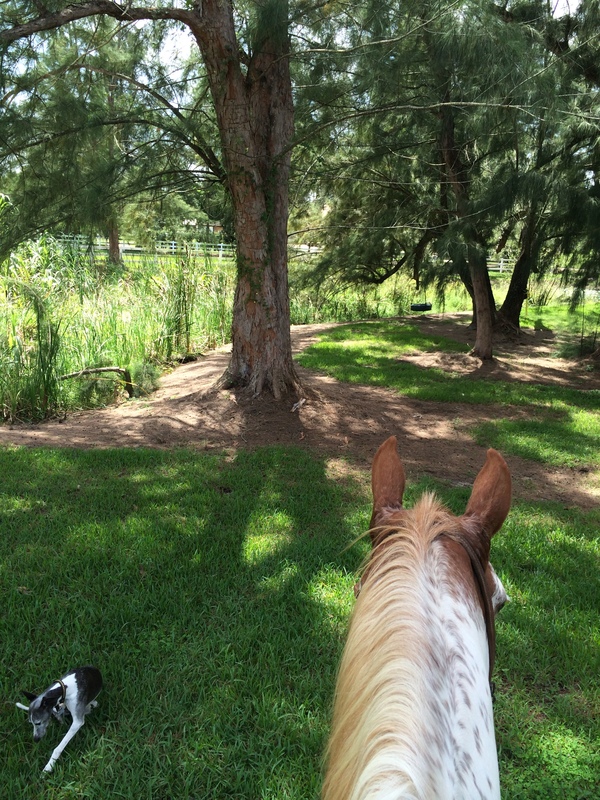 Behaviors like taking things personally when a horse doesn’t do what one wants them to do. I observed her human slapping her and violently longeing her when she wasn’t happy with her behavior. It was almost as though the human was acting out how her parents had treated her. Because I was only the” leasing human”, I had very little say in the matter and would often feel devastated and helpless with my stomach in knots. After returning from a weeklong trip to Wyoming, which was ALL about horses, I went to ride Serenity and she was acting strange. She didn’t want the saddle on her, didn’t want to go forward, was wringing her tail constantly and on trail was jiggity beyond anything I had experienced. I ask her human’s permission to have Dr. Hilton look her over. He palpated her, did some other testing and provisionally diagnosed that she was incredibly sore in her hindquarters and needed rest for about 10 days. Needless to say, her human was again appalled, showed up at the barn, tacked her up and put on a “demonstration” to show how not sore Serenity was. The whole time, Serenity just looked at me with hollow eyes and dropped her head obediently while being ridden. It was at this junction that her human and I had to part ways. I could no longer participate in this. I often tearfully pleaded with her human, who was perpetually short of money, to let me buy her so that I could be her human and take care of her needs. But… no. 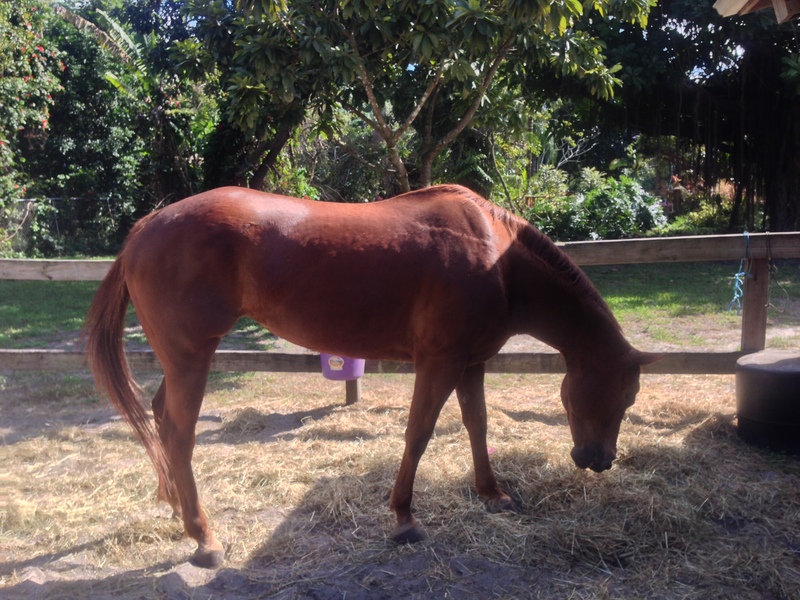 This entry was posted in Expect the Unexpected, Lessons Taught To Humans By Horses, Life Experiences, Personal Growth and tagged Healing, Horse Health, Horse Taught Lessons, Horsemanship, Horses, Life Lessons, Love, Veterinarians on February 12, 2015 by Christine Hendler.